Having recently returned from the famous, snow-covered landscapes of Mongolia, Eastern Siberia and Moscow, I wasn’t expecting much. 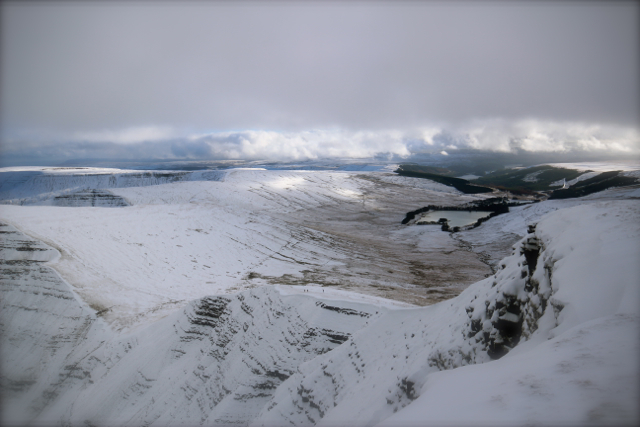 When I heard that Pen-Y Fan had recently succumbed to a spattering of the white stuff, I smirked: “We’ll see”. 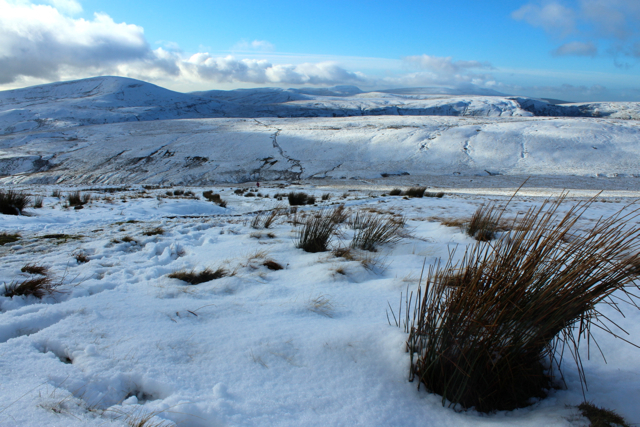 The Brecon Beacons for me, had always signified arduous trekking trips for Duke of Edinburgh Awards. Setting off in early April, these obligatory hikes would see us endure four days of horizontal rain, cold winds and blistered feet. Although I’d always been able to appreciate the rugged beauty in the mountains, I was always glad to be heading home at the end of each military-style ordeal. This Boxing Day stroll that we were undertaking would be the first without the shackles of a full backpack and timed checkpoints, and the only time that I had ventured to Wales’s second largest mountain range casually. I still however, had the motivation of an over-zealous Christmas dinner to get me striding. Turning off the dual carriageway, the car gradually wound upwards into lush greenery studded with squat farmhouses. As we edged further towards our destination, the long roadside grasses were sprinkled with the slightest covering of white crystals and by the time we arrived at the car park that signalled the start of our walk, the white stuff lay relatively thickly in the surrounding fields. 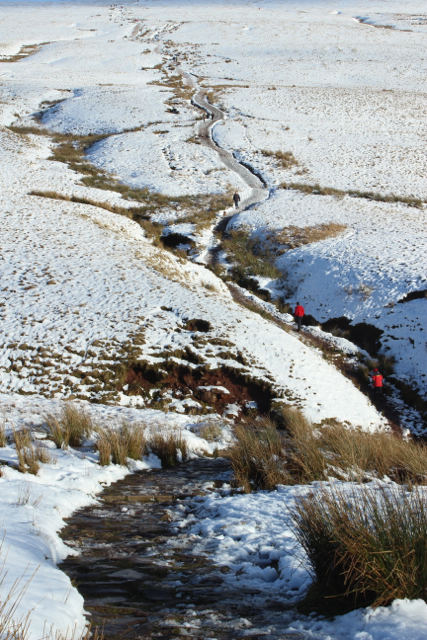 We slid our way across the dangerously icy tarmac to Pen-Y-Fan’s welcoming gate. As usual, I was cocky about the task ahead. For Wales’ second highest mountain it looked quite tame. My boldness faltered after only ten minutes as we began a treacherous and steep ascent towards the first peak. Despite my trusty walking boots my feet seldom stayed where I placed them. Eventually, it became easier to wade through the deeper snow that laced the path, than attempt to clamber over the icy slush strewn stones. My initial view though, was worth it. It’s a cliché of climbing mountains that you have to work hard to deserve the reward at the peak, but like most clichés, it’s true. Time passed and my breathlessness caused by the tough terrain failed to distract me from my beautiful wintery environment. 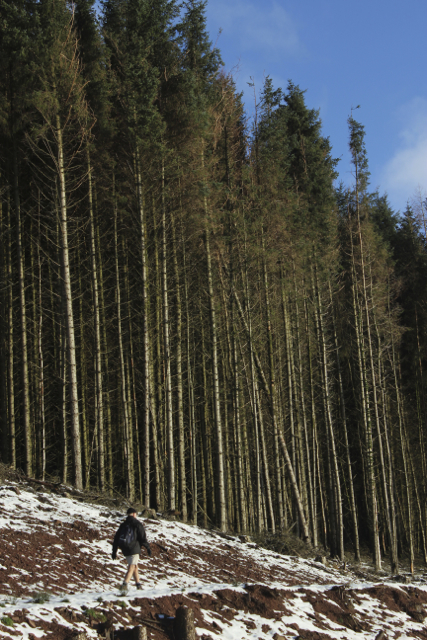 When we approached our final ascent, I suddenly noticed that the snow was now knee high in some places. Alongside me, groups of walkers had gathered to draw a last deep breath in preparation for the ultimate push. A few excited dogs bounded before them, clearly finding the walk easier than their panting masters. “Last little bit!” my dad shouted down at me for encouragement. I frowned and forced a stride out of my exhausted legs. Scrambling the last meter, I hoisted myself up into a white wilderness that put Siberia to shame. Snow drenched peaks spread out behind me to the horizon, which was slightly obscured by wispy, rapid clouds. In front of me, my immediate icy ledge gradually cascaded into green rolling slopes framed by a crispy, bright blue sky a few miles into the distance. To my left, a dark navy pond lay snuggled among three steep slopes. Fellow hikers, just small coloured dots against a stark white canvas, slowly made their way to the marked summit. All the exertion was suddenly and happily forgotten as I surveyed my setting. My peaceful vista was rudely interrupted by joyous shrieks, as others elatedly finished their ascent. I couldn’t complain. It was a charged, energetic and happy atmosphere and I felt strangely connected to everyone else here who had shared the goal to reach the top. A few photos and some ceremonial patting of the stone cairn later, it was time for the really fun part – the descent. My decision to wear ski pants had paid off and I slowly lowered myself to form a human sledge. Feet up and arms in I let myself go down the icy slope, my face broken into a smile from ear to ear. The rest of the walk was warm and satisfying as we easily negotiated hidden paths and small rivers that had duped us only an hour earlier. With the sun out, the afternoon had become almost spring-like and my disappointment at the impending return to the car park started to loom. Duke of Edinburgh had never been this enjoyable; or had it? I realised then that it’s the achievement of the climb that satisfies. Although occasionally, we don’t get the reward at the top (be it due to rain, poor visibility or aching limbs) the sense of achievement is always there. I love mountains for this. I loved this proud Welsh mountain for this. On my return to civilisation, as follows most activities in Wales, I indulged in a heavy pub lunch and subsequently dozed for the entire journey home. The snow’s days were numbered in the paddocks that buzzed past the window and in the tepid sun, the grasses already glistened with a watery residue of the cold that was. 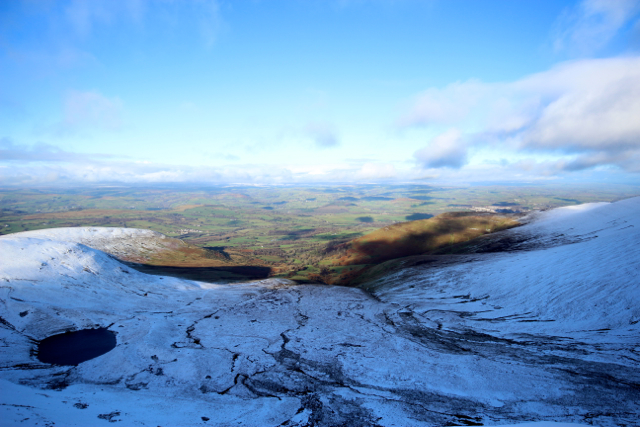 For this year at least, Pen-Y-Fan’s winter wonderland was over. Thanks for stopping by and I’m glad you enjoyed my post! What a great hike, photos and story. Cheers! Absolutely stunning. Lovely photos. I cant wait for my hike to Snowdon in next few months. Wow, it really was worth all the effort to have those glorious views at the end. And your descent sounded like so much fun. Thanks for sharing these orgeous photos. You’re welcome! It’s a beautiful part of the world, but probably even more so with a covering of snow! Gorgeous photos! I’ve been looking for a good next hike and now I know that I need to put Wales on the list. Thank you for posting! Your photographs are gorgeous! Funny, I never really think of Wales as a place I should visit but perhaps I should reconsider that! haha – I agree: it’s not on many people’s radar as a holiday destination (including mine most of the time!) but it actually has some beautiful coastline and inland mountain ranges! Glad you enjoyed the post!